A full-sized circular saw could weigh you down and cause a lot of strain in your arms. If those are your frequent concerns, then we have a more efficient alternative that would get your DIY projects rolling with less time and effort. A compact circular saw is lightweight and electrically powered. It can cut through a variety of materials much like a full-size model but it’s great for one-handed use. You can easily adjust its height, depth, and bevel. It would not be as noisy but it can cut metal just the same as a miter saw. Another advantage of compact circular saws is that you can easily adjust the height, depth, and bevel. It would be slightly different from how a miter saw functions. It would also not be as noisy but it can cut metal just the same. But how do you choose the right one for your garage? 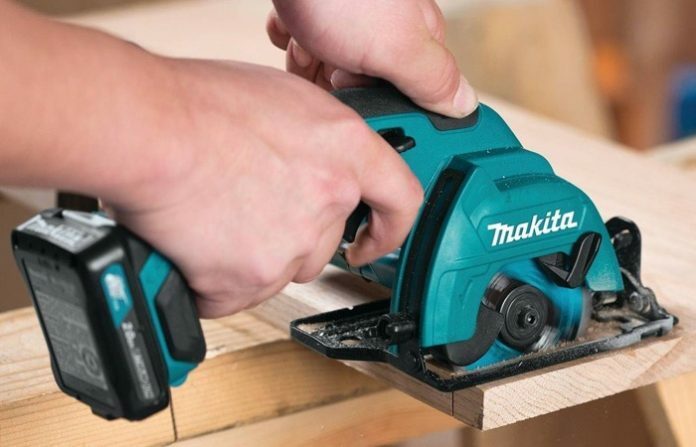 We have compiled a list of the best compact circular saw models, each with unique features and style to help you choose the best one for your projects. Number one on our list is the Rockwell Versacut 4.0 Amp Ultra-Compact Circular Saw with Laser Guide and 3-Blade Kit with Carry Case. It provides full performance while cutting on size, weight, and effort required on a full-size saw. This compact saw allows precision in your hand so you can make professional looking results in various materials. Cut wood, flooring, plastic, metal, and so much more. It has an exclusive laser guide technology that lets you see a precise cutting line. The saw is designed with an extraction adapter which clears the dust away so you have better visibility while cutting. It features depth adjustment so you can easily adjust and lock in the blade. The handle is ergonomically designed and has a lock-off switch for safety. 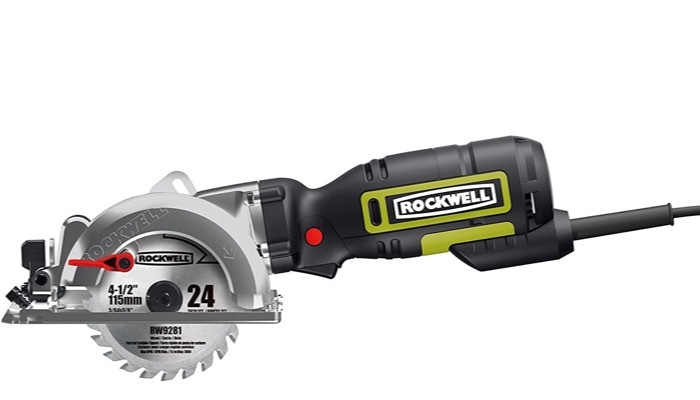 Next on our list is the Rockwell 4-1/2” Compact Circular Saw, 5 amps, 3500 rpm with Dust Port and Accessory Kit. Like the first model, it requires less strain though it’s smaller in size. 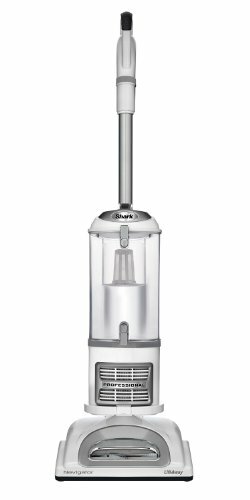 It features a 5amp electric motor that delivers full-size performance. Its 4 ½ – inch blade makes it easier to cut through 2 x 4s in a single pass. It’s extremely lightweight, weighing only 5lbs. The great thing is it is suitable for left-handed users. It’s easy to transport and maneuver especially when used overhead. The saw is designed with a slim, inline grip so it feels comfortable in your hand, giving you great balance and control. 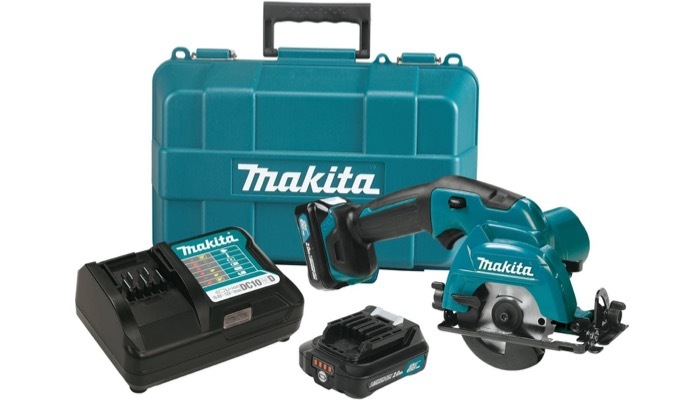 If you want a whole kit with other accessories, the Makita 12V Max CXT Lithium-Ion Cordless Circular Saw Kit, 3-3/8″ is a great alternative. It is a cordless saw, powered by lithium-ion batteries that provide a lot of power. The Makita features 1,500 RPM so it cuts faster and delivers a maximum depth of 1” for a wide range of applications. It delivers power and speed in a compact model and can cut through a variety of materials. This model only weighs 3.5lbs and can cut through plywood, MDF, pegboard, and drywall among others. 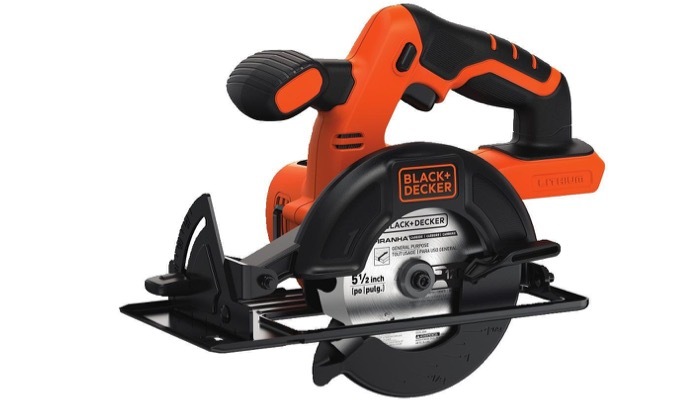 A great affordable pick is the BLACK+DECKER 20-Volt MAX Lithium-Ion Circular Saw Bare Tool, 5.5-Inch. It is designed with a powerful high-torque motor and comes at a fraction of the price of other compact saws. 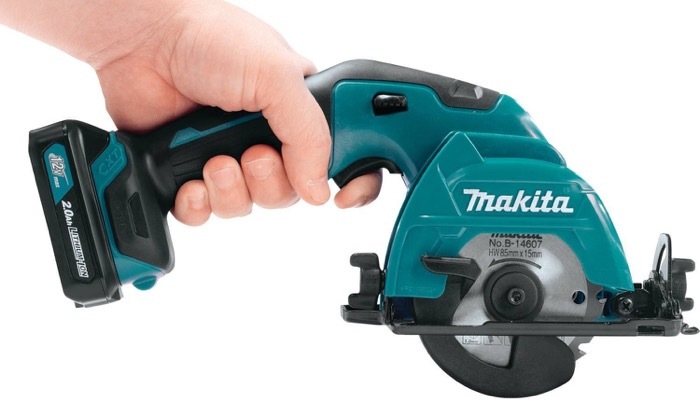 This compact circular saw features depth adjustment as well as bevel adjustment without the use of extra tools. That means you could achieve more accurate angled cuts. It includes a 5 ½ – inch blade that gives you a smooth and fast cut, ideal for various DIY projects. 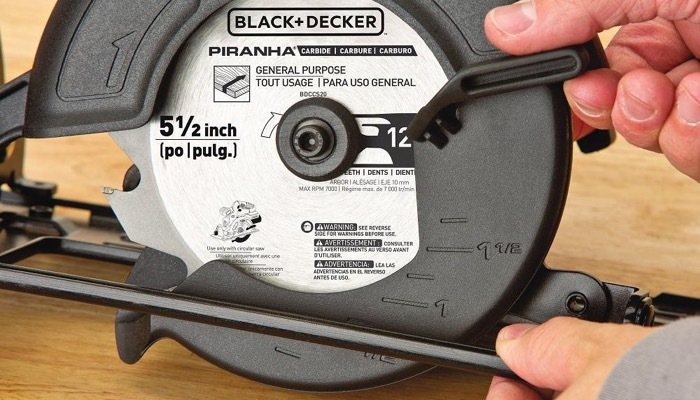 It has a compact design so it’s easy to use and is compatible with other Black & Decker systems. The saw comes at a great design and would look great in any workshop. Compact circular saws are very handy tools because they’re very portable and provides precision cutting. Choosing the right type of compact circular saw for your workshop and garage depends on the type of projects that you want to do. But here are the most important considerations. Compact circular saws usually come with a carbide-tipped circular blade. This may be sufficient if you’re not planning to cut other materials aside from wood. But if you want to work on other materials, choose a blade that is multipurpose and can cut through tiles, metals, etc. Your compact circular saw should have an ergonomic design. This is one of the main reasons you’re choosing a compact model. Without an ergonomic handle, a compact saw defeats its purpose. The handle should fit your hands comfortably so you can easily maneuver it. Of course, another major factor in choosing a compact saw is the weight. It should be light enough to transport and use. Even if the saw is small in size, if it’s heavy, it would still strain your muscles and would affect your cutting precision. Cordless saws offer a lot of advantages over corded compact saws. They don’t differ much in performance but a cordless model is a lot more convenient to use. you don’t have to deal with cords or using extensions but it would really depend on your work area. If you are always near an outlet, then having a cord around may not really be an issue. However, if you choose a cordless model, be sure to check the battery required and if it is possible to charge. Lithium-ion batteries last longer and they can also be charged. Choosing a compact circular saw is really about the projects that you want to do in your garage or workshop. But it’s important to consider the power and design above all else. You want your compact saw to be as light and maneuverable as possible. It should be convenient to use which is its main advantage over a full-size circular saw. Consider also the types of materials that you want to cut and the blade that comes with the saw. 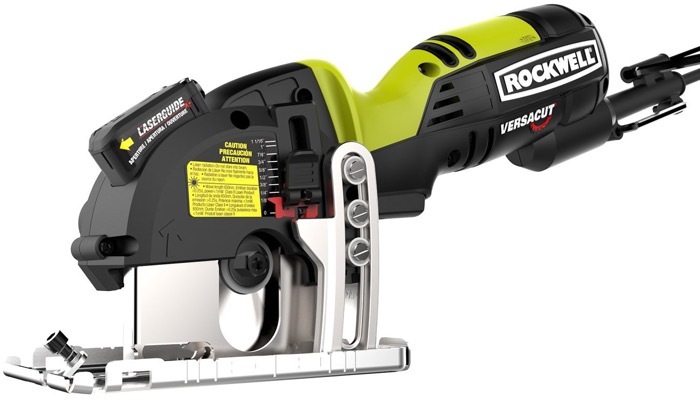 For us, Rockwell Versacut 4.0 Amp Ultra-Compact Circular Saw is the best compact circular saw.